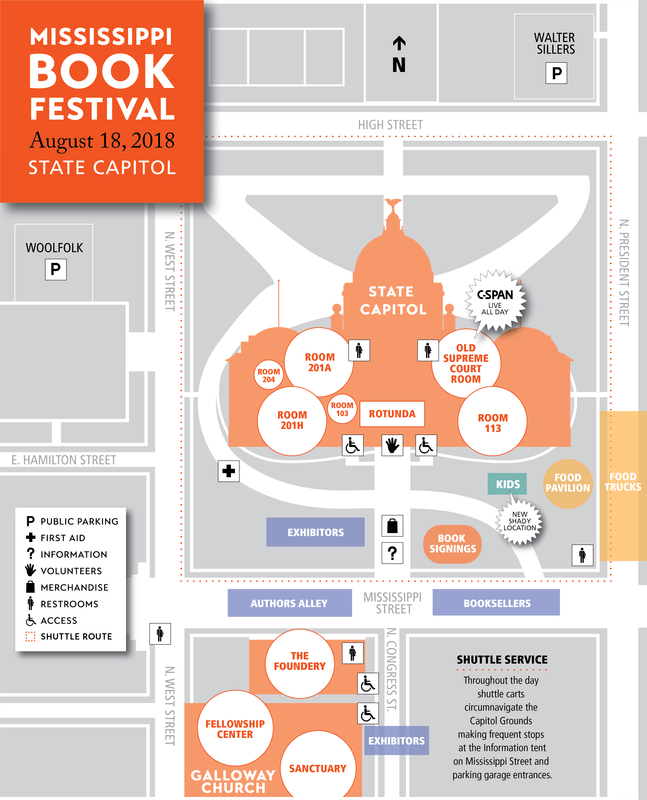 Each year we assemble celebrated authors for panel and interview discussions on a broad array of topics held at venues in and around the Mississippi State Capitol Building. As the schedule develops it is published here online for your convenience. When the festival is over, each element transitions to our Replay festival pages, where we provide photo and video documentation of each as they become available. 2018 official panelists schedule coming soon. For the convenience of families and educators, we highlight the kid/teen portions of our festival program in a separate schedule and present it here online for your convenience. These family-friendly and interactive sessions are held throughout the day at venues all over the festival and carefully documented. And when they are all over, the photos and video become a part of our Replay festival pages. 2018 family-friendly schedule coming soon. We make your journey to the festival worthwhile, by providing book signing opportunities with participating Official Panelists and also publishing the schedule here online for your convenience. Patterned throughout the day, most signings are held in the Book Signing tent on the lawn of the Capitol, right across from the booksellers. Take a peak at some of the author/fan encounters we’ve collected over the years on our Replay festival pages. 2018 book signing schedule coming soon.